The LNP candidate for Gladstone has been announced. Chay Conaglen is a 20-year-old university student who works part-time in the Rockhampton office of Minister for Resources and Northern Australia, Matt Canavan. 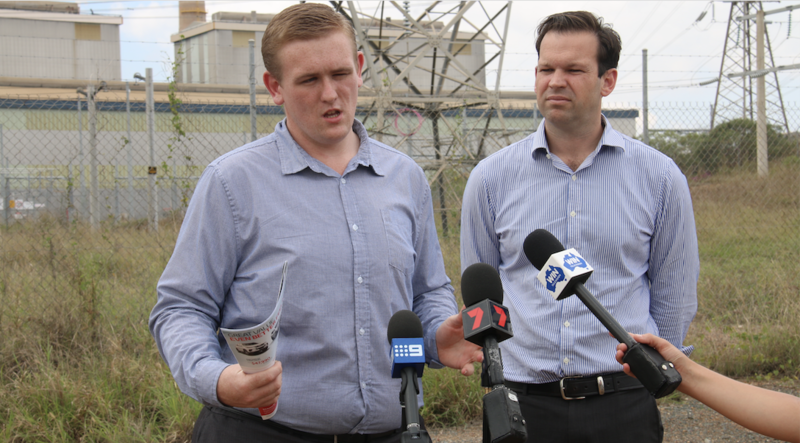 Senator Canavan introduced Chay to local media outside the NRG Power Station today. “I have changed my electoral address with the electoral commission and I am in the process of moving here to campaign. It’s true that I am from Rocky and I am proud of being from Rocky but first and foremost I am a proud, third-generation, Central Queenslander,” he said. “It’s not like I’m from Brisbane, it’s only ninety kilometres up the road. I decided for instance when I went to University to stay local. Gladstone is a region of choice, people move here all the time, so that is what I am doing,” he said. “We recognise at the LNP that this is the Mt Everest of seats in Queensland, it’s a tough ask for the LNP to win this seat, but we are out there fighting for every seat and every vote in Queensland,” he said. “Glenn Butcher might be a good bloke, but I think he’s part of a bad team – he’s part of a team in Central Queensland who are not backing coal-fired power,” Senator Canavan said. “I am fired up and ready to take it to the Labor Party,” he said. “The LNP has a plan for this part of the world, we are the party for regional Queensland. “I know it’s going to be hard, but I am not someone who is going to sit back and watch this part of the world die and go down the gurgler with stupid, ridiculous, Labor Party policies. For more local news and information on the upcoming election stay tuned to Gladstonenews.com.au and follow us on Facebook.